MYSTERY MACHINE? 1989 Kline Charvel San Dimas??? I believe you have a "Custom Dreams" guitar body. Custom Dreams guitars were parts sold by Paul Unkert via the Garden State Music store in Toms River, NJ back in the second half of the 1980s. Snake Sabo and Rachel Bolan of Skid Row worked at this shop when I used to make the two hour drive from Philadelphia back in the day. Unk hired Kline to paint many of the bodies that he sold. Zakk Wylde's shattered glass Les Paul is from Custom Dreams. Snake Sabos "Snake" guitar that everybody thinks is a Kramer is actually a Custom Dreams guitar. There used to be a website dedicated to Custom Dreams guitars, and the Hollywood Kline that you have, was the guitar they used for their home page. 1. You have a real Kline. 2. It is very Kramer related, as it was done by Kramer's top luthier and painter. 3. A Custom Dreams Kline is way more rare than a Kramer Kline. Tortfeaser wrote: I believe you have a "Custom Dreams" guitar body. Custom Dreams guitars were parts sold by Paul Unkert via the Garden State Music store in Toms River, NJ back in the second half of the 1980s. Snake Sabo and Rachel Bolan of Skid Row worked at this shop when I used to make the two hour drive from Philadelphia back in the day. If this is true that would be cool. I sure would like to see that web site picture. I have not found very much info on this company. I wonder how I can confirm this if it is true? it keeps getting better . Maybe you can ask Paul Unkert himself? Should be easy to find his e-mail. I found this image. Looks like a Kline also. 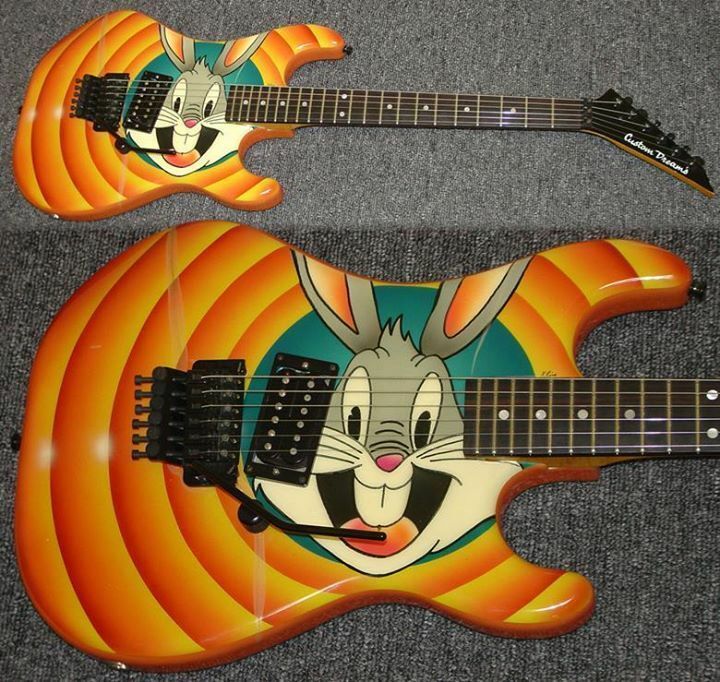 The Custom Dreams guitars seem pretty hard to find. I will see if I can confirm if my guitar is a Custom Dreams guitar. I love the look of the neck also. If it plays half as good as it looks, I will be happy. I cant wait to play it, then dissect it. Should be before 7pm today. Maybe we should start a poll. A.) 1980's Charvel early Model body, 1, or 2. B.) 1980's Charvel San Dimas body. C.) 1980's Charvel Dimarzio body. D.) 1980's Custom Dreams body. As previously mentioned, I do not think you have a Charvel guitar there. The custom dreams seems to be a possibility, the cavity routs seem to line up. It could be something better than a model 2! And that neck is sick! I love having days like you are having today, awaiting a new guitar being delivered.